IGP snubs Senate invitation for second time – Royal Times of Nigeria. 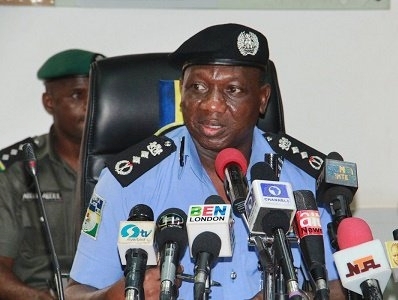 The Inspector General of Police, Ibrahim Kpotun Idris on Wednesday failed to appear before the Senate to explain the police manhandling of Senator Dino Melaye making it the second time he had snubbed the Senate’s invitations over Dino and other security challenges in the country. He was, however, represented by the DIG. Senate leader, Ahmed Lawan announced that the IGP was unavailable, stating the IGP had gone to Kaduna on an official assignment.